Friday, Friday, Friday...my second favorite day of the week. 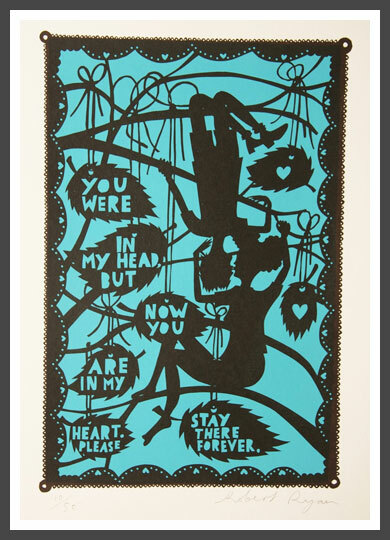 I'm sending you off into the weekend with this awesome screenprint of one of Rob Ryan's fabulous lasercut creations...ahhh, so sweet! Perfect for this Valentine's Weekend. I'll have more of Rob Ryan's incredible work next week. His creations are so elaborate and full of whimsy it makes me tingle all over.